Some of the most abundant and beautiful waterfront properties in the state are located in Citrus County, an area of pristine environment along Florida's gulf coast. With more than seven major waterways winding through, and numerous sparkling lakes dotting the county, more and more folks are finding Citrus County to be the perfect place to call home. In the western portion of the county, the spring-fed Homosasssa and Crystal Rivers flow, eventually emptying into the Gulf of Mexico. These waters are the winter home for the renowned manatee, and can often be spotted as they surface for air. 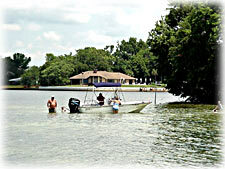 The eastern part of Citrus County is peppered with splendid lakes. These lakes are just some of the more than fifty smaller bodies to comprise the Tsala Apopka lake chain. There are three pools: the Hernando pool, the Floral City pool and the Inverness pool. Big Lake Henderson is located in the Inverness pool and is often utilized for a variety of water sports and recreations. 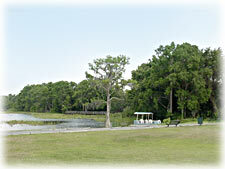 Some enjoy the thrill of jet skiing or water skiing; others prefer to fish in quiet alcoves and inlets along the banks. Sunbathing and swimming are also popular here. Enjoy the nearly immaculate environment; admire the beauty of the natural wildlife, including the great blue heron, majestic cypress trees, snowy egrets, small turtles, and the occasional alligator. Properties along the lakes lend magnificent views. At dawn, the sun's fledgling rays brightly skim the surface like light across a mirror; at dusk, enjoy the deep orange and purple sky as the sun sinks behind the cypress trees and out of sight. The Withlacoochee River flows through this part of the county as well. The river is perfect for boaters and fishermen alike, providing excellent scenery and some of the best freshwater fishing in the state, with bass being particularly popular catches. Properties and homes are numerous along the miles of shoreline, however, do not spoil the natural splendor of the environment. Generally, people are attracted to water. 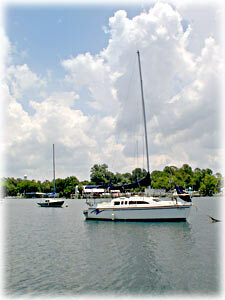 If you are one seeking your waterfront haven, discover Citrus County. Though waterfront properties are plentiful, they are not limitless. Start your exploration today!